I loved the idea of Fresh Air Fridays as soon as I saw it pop up on my Facebook page in 2016. I went along to my first session which was a launch event for one of the local facilitators and loved it so much I signed up immediately. Over the next couple of months I got so much from it that I decided to become a facilitator and am loving every minute of it. It’s now over two years since my very first Fresh Air Fridays session and it feels a good time to reflect on the difference it has made to my life and how this has now become a core part of my business. My husband and his family first introduced me to walking, we met when we were 16 and I went on holiday with his family several times. We always went somewhere in the UK with lovely walking areas and I soon found myself out walking the Devon coastline or exploring the Lake District. Move forward seven years and when we got married, we spent our honeymoon in the Lake District walking in the hills in the south lakes. For us, being outdoors has become a time for adventure but also to reconnect with each other. 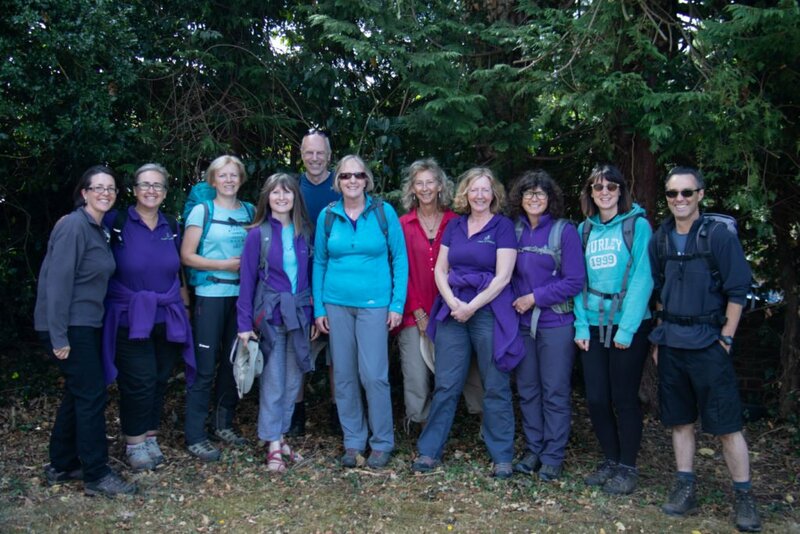 Over the years we still trek regularly in the UK and have also walked in many European countries including Majorca, Slovenia and Switzerland. 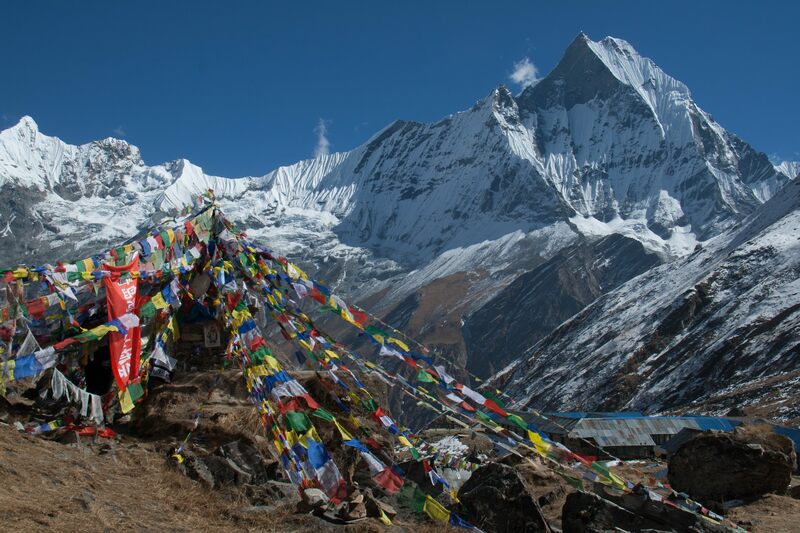 Some of our highlights have been walking in the Himalayas both in Nepal and Bhutan. One of the most awe-inspiring memories I have is of standing at Annapurna base camp in the middle of the night and looking at the peaks around me. I had already climbed to an altitude of over 4500m, yet there was another 4000m of these majestic mountains around me. There was no light pollution, so the stars were sparkling, and the moon shone brightly on the snow. It was a very spiritual moment where I felt very connected to nature and reflecting on how lucky I was to be able to stand there. Coming back to Fresh Air Fridays, I feel the connection with nature very strongly in all our sessions. It is wonderful to take time away from the busyness of day to day life to be immersed in my surroundings and spend time noticing what is around me. Our monthly discussion topics have given me the space to talk through some things that challenge me, and I’ve made some very good friendships with both my growing community of members and my fellow facilitators. For me, my biggest transformation has been to take me away from living my life constantly in stress mode, to finding a balance. This has allowed me to enjoy my work a lot more and be much clearer on what is right for me and what isn’t. My personality means I am very goal driven and want to make things happen, the downside of this is I’m always doing, doing and find it hard to just ‘be’. I’ve done mindfulness courses in the past yet still found it hard to quieten my busy mind. On some days this is still difficult for me but being in nature makes it a lot easier as I can be very present as I walk and take in the wonderful sights and sounds around me which leads to me feeling very calm and relaxed. It’s often after being on a Fresh Air Fridays session that I have my best ideas, or find I unlock a challenge I’ve been mulling over for days or weeks. My life isn’t perfect and like everyone else there are times when difficult things happen. The difference for me since being part of Fresh Air Fridays, is that I now have resources to help me through the difficult times and most importantly like-minded people around me to go outside and talk things through with. My father-in-law was in hospital and seriously ill last year, my husband had already gone to Devon to be with his mum and sister. I made arrangements to cover my work and then got ready to join him in Devon. Before heading off, I booked in and went along to a Fresh Air Fridays session facilitated by my good friend Jeanette. I felt very shaky and emotional and was a bit unsure about going as my head was telling me I should be on my way to Devon. On reflection this was probably the best three hours I spent before what was to be a very challenging few months. I was given the space I needed to talk about what was happening and release the emotions I’d been bottling up. I carried on with my journey to Devon knowing I had lots of support around me and that as a family we would get through it. Sadly, my father-in-law died but we were all able to support him and each other in his last few weeks of life and give him a wonderful send off when we celebrated his 90 years of life at his funeral on a gloriously sunny day last April. We are starting 2019 in our Fresh Air Friday sessions talking about filling ourselves up first. So many of us are brought up to believe we should put other’s needs before our own and this was my first thought when my father-in-law was ill. Giving ourselves some space for self-care by doing something we enjoy, gives us the energy to live life fully and healthily. Why not come along and try Fresh Air Fridays for yourself in 2019, the first session is FREE, and it will give you energy to live life at your best. Visit our For You page and find your nearest session.